The Rev. Anne K. Bartlett reflects on how "love has saved us all." Sometimes I like to imagine Paul writing his letters to those little congregations he had started from scratch and whose ongoing struggles and sorrows and joys he followed as a father follows the lives of his children long after they’ve grown up enough to be out on their own. As I imagine Paul writing those letters we still cherish and read today, I watch him search for just the right words, giving guidance and counsel and encouragement, sometimes exploding in exasperation, sometimes defending his authority to teach them, patiently laying out one more time how the life and death and resurrection of Jesus the Christ has brought us all Home to God, our Creator and heavenly Father. It’s not a big word -- all. It’s a little word, a common word, a word even very young children can say and understand, an ordinary word meaning “everything” and “everybody” and “nobody’s left out.” All. What’s so hard to understand about that? radical inclusion requires all but the most saintly of us to stretch beyond our fears and self-centeredness in ways that demand our constant vigilance and effort and commitment and practice. There is a part of being human that rebels against embracing all, that resists including everybody in the circle. Our resistance shows up in human development pretty clearly by the time we’re toddlers, when we discover we are separate little persons, a discovery that both terrifies and exhilarates us. What is it about all that we don’t understand? Oh, I think it has to do with all kinds of things swimming in the depths of the shadows of our psyches. We don’t want to understand all because of our fears that there won’t be enough to go around, whether it’s dessert or love or money. We don’t want to include everybody because of our fears of the unfamiliar, of strangers, of people who don’t look and act and talk like us, of concerns for our own safety and security. We don’t want to accept all because by doing so we run counter to our own desires, our own greed and selfishness, so we dream up all kinds of logical-sounding reasons why it’s sensible and prudent to draw lines and boundaries and create hierarchies and procedures for who gets what, who’s in and who’s out, who is worthy and who is not. Before the Holy Spirit knocked him off his high horse on the road to Damascus, Saint Paul was an expert in differentiating between people, he knew exactly how to categorize, analyze, systemize, put people in a pecking order, deem who was worthy and who was not according to a deformed and rigidified understanding of religious law. In his previous life (the life he had before his encounter with the risen Christ that changed everything), there was no one more zealous than Paul in enforcing life-and-death lines of inclusion and exclusion. And now look at him, there he is writing his letters to his beloved churches, putting into his glorious words how we are now all new creations in Christ, the past no longer has any power over us, we are called to live in a new reality, a new world, as persons identified no longer by anything other the love of God in Jesus Christ who has made us all children of God. And in this new life of ours, this baptized life, this life in which we have vowed to respect the dignity of every human being, we are called to an astounding diversity beyond our own preferences, inclinations, or designs. Living into the all is reminding ourselves, a hundred times a day if necessary, that we belong to the family of God, and that is what identifies us – not our achievements, not our family background, not our political affiliations nor our social status, not even our precious self-expressions. Our Way is not about us; it’s about God, the God whose face we have seen in Jesus. Paradoxically – and our faith is nothing if it’s not paradoxical! – we grow up in our faith when we acknowledge our failure to stand on our own. Only then are we broken open to trust in the grace of God rather than in our own merits. In our dependence on God’s grace we discover we are one in the Body of Christ. We are one in the family of God. All of us. All. Except it’s so hard to stay grounded in that new creation, that alternative reality, isn’t it? It’s so easy, so human, so tempting to go back to the old ways of thinking that to be “good enough” means I have to be “better than,” that some people are better and more valuable than others, and that there are others who must be kept out. It’s hard, spiritual work to stay grounded in the new creation, to keep making the circle bigger when it’s really uncomfortable to be stretched that far. It’s not easy to live in God’s kingdom on earth right now, this day because…well, because we do get afraid, and we are greedy, we lose our grip and we lose our trust that there really is enough of God’s love to go around and we begin to doubt that all things will be well, in God’s good time. We try to get by with being merely nice and polite, and we forget that God’s Kingdom isn’t about good manners, it’s about a life-changing alternative reality in which we are to see one another – everyone; all – as our brothers and sisters. The Episcopal Church has known something of the pain and the cost of enlarging the circle in Christ’s name. At our General Convention last summer, bishops, clergy and lay deputies voted overwhelmingly and without a great deal of fanfare to lift the self-imposed three-year moratorium in our church on the election and consecration of openly gay bishops, a moratorium requested by the leadership of the Anglican communion. After three years of compliance and continuing attempts to engage in mutual dialogue, our national Episcopal church discerned, one more time, that the way we are hearing the voice of the Holy Spirit is to go forward with our commitment to not exclude any member of Christ’s church from consideration for any ministry in our church on the basis of sexual orientation, gender, race, or anything else of that order. Here at Trinity, Ashland we are nearly all of one mind on this issue, so much so that I sometimes take flak because I don’t preach more about inclusion of those with different sexual orientations. My response is that I think this congregation is at the point where the only thing that matters to us is whether a person wants to worship God with us and join with us as we try to be Christ’s hands and heart, his Body, in the world. A couple of years ago I got a phone call from someone doing a survey; the person asked how many gay and lesbians we had in positions of leadership in our congregation. I had to stop and think because it wasn’t a category that made any sense to me, nor, I believe, to the vast majority of us. Male or female, straight or gay, comfortably well-off or on food stamps, of color or not of color, old or not so old, native Oregonian or from a foreign land (like California) -- what difference does it make in this place? Democrat or Republican…well, we need to work on that one. And I’m serious about that. We are individuals with our own distinct gifts and peculiarities, but the only thing that matters here is that we are the family of God, the church of Christ, and you are welcome. As you may have heard, our national Episcopal Church is again in hot water with some parts of the worldwide Anglican Communion over the consecration a few weeks ago of two women bishops in the Diocese of Los Angeles, one of whom happens to be a lesbian in a committed relationship. Last Sunday, our Presiding Bishop, Katherine, had been invited to preach and celebrate the Eucharist at Southwark Cathedral in England. In the week prior to her visit, the Lambeth office of the Archbishop of Canterbury pressured Katherine’s office to provide evidence of her ordination to each order of ministry – deacon, priest, and bishop. Then, the Archbishop of Canterbury directed our Presiding Bishop that she was not to wear her mitre, the symbolic hat that bishops wear. She could carry her hat, but not put it on her head. Nor was she to carry a crozier, the symbolic shepherd’s crook that bishops carry in the liturgy. Some bloggers are referring to this incident as Mitregate; or, Kat in the Hat. Oh dear. What is it about all that some of us still don’t understand? There are several reasons for the fury, Dean Slee said in his Evensong homily. The presiding bishop is a woman and some people hate the idea of women as bishops. The General Synod of the Church of England is about to debate the admission of women as bishops within the Church of England. The church in the United States has just consecrated an openly lesbian woman as a suffragan bishop in Los Angeles and so they are accused of breaking an embargo on such consecrations. It is not nearly so simple. We welcome Katherine Jefferts Schori to this pulpit, he continued, because we love our sisters and brothers in the Episcopal Church of the United States; not because she is a female, or a woman bishop ahead of us, or has permitted a practicing lesbian to become a bishop; we welcome her because she is our sister in Christ. [The actions of the Episcopal Church] in recent months, he said, have been entirely in accord with the Anglican ways of generosity and breadth. They have tried to ensure everyone is recognized as a child of God. They have behaved entirely in accord with their canon laws and their freedom as an independent province of the church, not imposing or interfering with others with whom they disagree but proceeding steadily and openly themselves. That’s such a big part of the problem, isn’t it, the problem we have with all – that underneath all our bluster and self-righteousness, we are afraid of the other, the ones who are different, the ones who make us uneasy, the ones we’d rather not have to deal with. Our anxiety ratchets up and the lines get drawn in the dirt, and people get hurt, or worse. In the gospel stories, over and over and over again, Jesus encounters and engages those beyond the familiar inclusionary lines, he heals those whom everyone else is afraid of, he eats with those with whom no one else will eat. Over and over and over again, Jesus shows us what all looks like. And the picture both terrifies and exhilarates us. In the gospel story this week, Jesus crosses over to the other side, the other shore where the Gentiles live and where they raise pigs to feed the legions of Roman soldiers who are bivouacked near by. The first person Jesus encounters is a man half-alive, out of his mind, barely human, living among the dead; he is naked, violent, unpredictable, in every way ‘unclean’ and utterly alone in the world. Jesus drives out his demons and heals him in body, mind, spirit and in relationship. Naturally the man begged to stay with Jesus, but Jesus says: “No, go home. Now you have a home again; go back there, that is where your ministry is. Tell the people you know how much God has done for you.” For many of us, ministry is going back to our own homes and proclaiming to those we know how much Christ has done for us. There is room for us all at this table, there are tears of welcome and a kiss for the wanderer, and the sweet smell of home. Want to join the feast? You are welcome here. Love has saved you. Love has saved us all. 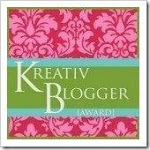 A while back I came across the blog Godspace by Christine Sine. I was in the midst of refinding myself after 2 and half years of grief and continued depression, as well as unemployment, and it occurred to me that if I got back to gardening and yardwork, I would find the connection that so used to revive my spirit and body. So, I hopped on a search engine and began Googling gardening, flowers, plants, gardening as meditation and the like. One of the links brought me to Godspace, and I was delighted to find it. Here was not just articles on good gardening but also on the spiritual side of it, the reconnecting to creation and with that came the deeper, easier connection to a renewed spiritual life. Well, at least the reviving of a once thriving spiritual life. Grief and loss threw what I had known and loved down a steep ravine, and I wasn't sure I could rescue it or revive it once I had it back. Combine that with the depression that follows hard on the heels of both and it is Mt Everest of impossibility, or so it seemed. It helped to talk through it with a good friend and also my spiritual director. Turns out I had not only lost my love of gardening and green living things of beauty to these three factors but apparently I was connected to them and I too had been in the deep ravine but over two years managed to climb out and salvage that connection to green, flowering, growing, amazing things, including the odd weed. So now, I turn to life with quiet joy and anticipation. That is if we get any warm consistent weather here in southern Oregon. Tomorrow will be the first day of summer. It is 62 degrees...I hold out hope for some hot stuff and sun. Turning back now to Godspace by Christine Sine, it is a virtual resource for her insight into gardening and intentional living. And for us Nor'westers, she is one of us, lives in Seattle and gets the weather angle and challenge that we have in this part of the country. Mustard Seed Associates, her connection with like-minded Christians who look forward in the future toward sustainable and intentionally created communities. And MSA "is a small non profit organization that seeks to raise awareness of challenges that Christians will face in their lives, churches & communities in the future. It is unique in that it is a crossroads, grassroots organization – connecting people across generations, denominations and cultures and encouraging them to become cultural creatives." Is the pulse rate of your life beating out of control? Do you feel out of sync with the shalom lifestyle God intends you to have? Are you having a hard time sifting through the noise and busyness in order to connect your life to God? Jesus modeled a degree of peace, celebration, and rest that’s hard to find in our stressful, hurried pace. We long to be more like him, but that lifestyle often seems unachievable. GodSpace, an updated version of the author’s earlier book Sacred Rhythms, is a prescription for healthy living that flows directly from your faith. Christine Sine invites you to make space for God and enjoy the benefits. She looks at the natural rhythms God built into our world and how paying attention to them can strengthen every part of your life. I have it and though I have only read parts briefly [Goal: make time to read the stuff that really matters], I am drawn to its wisdom and ideas for helping to restore what I had once known and so looked forward to each day. She also has other books and articles, prayer cards and so forth available. She hosts workshops on Celtic prayer and enriches her own life with the prayerful teachings of Richard Rohr. In her other book To Garden With God, she takes us through the seasons of the Spirit as well as the seasons of the year. All her writings are available on her blog and then through links to an ebook site. Though my life has been complicated by issues at work since February, I am determined to make more time for outside, the garden areas around my home, rescuing the neglected Bleeding Hearts on the east side of the house, taming the wildness of my backyard and maybe evening planting some vegetables. I know I must set aside time to do this each evening and if I do I will be rewarded not only with the beauty of creation and the caring of it, but with a renewed spirit and outlook. I encourage those of you who garden and even the ones who don't to read or check out Christine's insights into this vital connection of gardening with God and also how to live intentionally with and among others. Be sure to check out her workshops tab as well. She offers Rhythms of Grace, Thin Space: Learning from the Celtic Saints, and the landmark annual Celtic Prayer Retreat. And by all means, if you are into Green living, her blog is a huge resource. And now I will leave you to it...it is where I am headed! This is an excerpt of the Executive Council's message to the Episcopal Church from their latest meeting, held from June 16-18, 2010, in Linthicum, Maryland. This is the section on the visit with invited guest Canon Kenneth Kearon, SecGen of the Anglican Communion. His responses as is, are in my humble opinion, ridiculous. The whole report can be found here. "The 45-minute session on Friday with invited guest Canon Kenneth Kearon was carefully prepared for by the Standing Committee on World Mission, who wrote the thoughtful and substantive questions that made clear our commitment to being an inclusive church while also deeply committed to classic Anglicanism and deepening our relationship with our sisters and brothers across the Communion. Canon Kearon began by describing the beginning of the current tensions as the increasing “problem of growth and diversity in the Anglican Communion.” This statement was significant to a body that has long seen diversity in the Body of Christ as an opportunity and has sought to base its actions on the baptismal promise that we will seek and serve Christ in all people and respect the dignity of every human being. The questions sought clarification on the presenting issues, including the Archbishop of Canterbury’s removal of appointees from The Episcopal Church to ecumenical bodies and Canon Kearon’s statement that The Episcopal Church does not “share the faith and order of the vast majority of the Anglican Communion.” He also responded to concerns about incursions by other provinces of the Communion. He acknowledged that the Archbishop of Canterbury considers certain activities of the Province of the Southern Cone to constitute an incursion, but is awaiting clarification about the extent of these activities from the primate of that province. However, such ongoing breaches of the moratorium on incursions do not rise to the same level of departure from the faith and order of the Communion as does the full inclusion of lesbian, gay, bisexual and transgendered Christians. The Council very much appreciated the chance to meet with Canon Kearon, who agreed to respond in writing to additional questions from members of the Council." I'm curious about the "additional questions". Might one or two be about how the ABC insulted ECUSA's PB? Hmmm??? Some of you haven't been able to open the link on Facebook that I posted tonight, so here is the article in its entirety. Ruth's blog has been moved behind the "paywall" at The Times and cannot be accessed without getting a subscription. So this is her last post on the Typepad blog of the same name, "Articles of Faith". Note: This will be the last post at the blog at Typepad. Articles of Faith is the first of The Times blogs to go permanently behind the paywall and onto a different platform. You can find it here. Other women bishops who have celebrated at Southwark, complete with mitre, include Bishop Ann Tottenham, retired suffragan bishop of Toronto. She presided and preached on Saturday November 9th 2002. Bishop Ann, incidentally, is a 'real' lady bishop. She is Lady Ann, daughter of the 8th Marquess of Ely. But this doesn't excuse Lambeth allowing her to wear a mitre and not Bishop Katharine. Read on for what Dean Colin Slee told The Times today. At the back left of this picture, taken at Salisbury cathedral just before the 2008 Lambeth Conference, is Bishop Katharine resplendent in a glorious gold mitre. Do you think she took it off when she went inside and processed down the aisle. I don't think so.... So why the mitre ban at Southwark? Below, Colin explains. Regarding the two women bishops who processed with mitres at Southwark, Colin adds: 'I was not present on either occasion, it would seem to me that permission from Lambeth (presumably that was George Carey) was not sought, or Lambeth made no fuss. Our Diocesan was however present when Anne Tottenham was here. He's talking about Ascot of course. Some of the comments at Holy Smoke are quite fun as well. By now many of you have heard about what happened in Southwark Cathedral when ++Katharine Jefferts Schori, Primate of the Episcopal Church USA when she processed at the beginning of the service, when she preached, when she celebrated Eucharist and when she recessed at the end of the service. Here are some links to the story from a few sources. Each source lends a new perspective on what happened on Sunday last. [Anglican Journal] Presiding Bishop Katharine Jefferts Schori has described the decision by Lambeth Palace to remove Episcopalians serving on international ecumenical dialogues as "unfortunate ... It misrepresents who the Anglican Communion is." 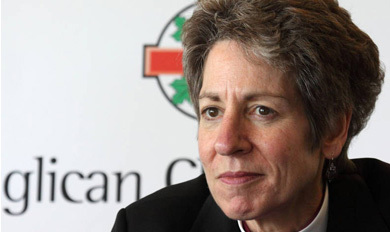 Jefferts Schori's comments were made during a June 8 press conference at the Anglican Church of Canada's General Synod 2010 in Halifax, Nova Scotia. "I don't think it helps dialogue to remove some people from the conversation," she said shortly after addressing General Synod. "We have a variety of opinions on these issues of human sexuality across the communion ... For the archbishop of Canterbury to say to the Methodists or the Lutheran [World] Federation that we only have one position is inaccurate. We have a variety of understandings and no, we don't have consensus on hot button issues at the moment." Please go to this page to read the rest of Marites' article in the Journal. [Episcopal News Service] Presiding Bishop Katharine Jefferts Schori has issued a pastoral letter to the Episcopal Church, in which she refers to the Pentecost letter from Archbishop of Canterbury Rowan Williams and urges continued dialogue with those who disagree with recent actions "for we believe that the Spirit is always calling us to greater understanding." The full text of the letter follows. The letter is also available as audio on the homepage of the Episcopal Church website here. May God's peace dwell in your hearts,"